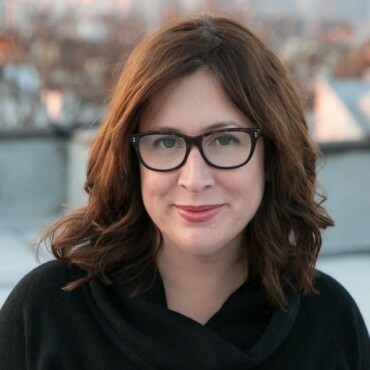 Tamara Draut, author of Strapped: Why America’s 20- and 30-Somethings Can’t Get Ahead and vice president of policy and research at U.S. think tank Demos, grew up in a working class household. However, her family was able to live what she calls a “middle class life” thanks to the wages that her parents earned. Draut’s family took vacations to Myrtle Beach every year; she was able to go to college and leave without any debt. Things are not the same for today’s working class families. Wages have stagnated and protections for workers have eroded significantly. The result is that many of today’s working class families are struggling to simply keep food on the table. 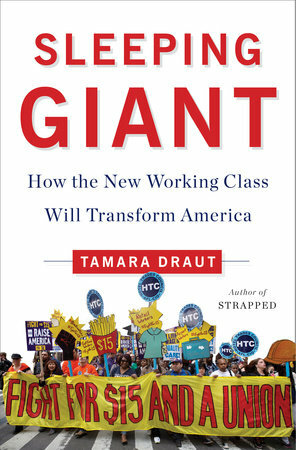 This dramatic shift in conditions for the working class drove Draut to pen her newest book, Sleeping Giant: How the New Working Class Will Transform America, which arrives in stores tomorrow. Sleeping Giant explores how the working class lost its economic security, the demographic changes that have taken place in the working class, and how renewed organizing efforts – like the Fight for $15 – can point the way toward a brighter future for everyone in America. While there’s plenty of policy talk in the book, including an outline of Draut’s “Better Deal,” which updates the ideas of the New Deal for today’s world, there’s also an intensely human side to it all. Draut says that restoring dignity to the working class is one of the major outcomes she’d like to achieve with this book. A couple of weeks back, I spoke with Draut via phone about Sleeping Giant. What follows is a transcript of our conversation, minimally edited for style and clarity. 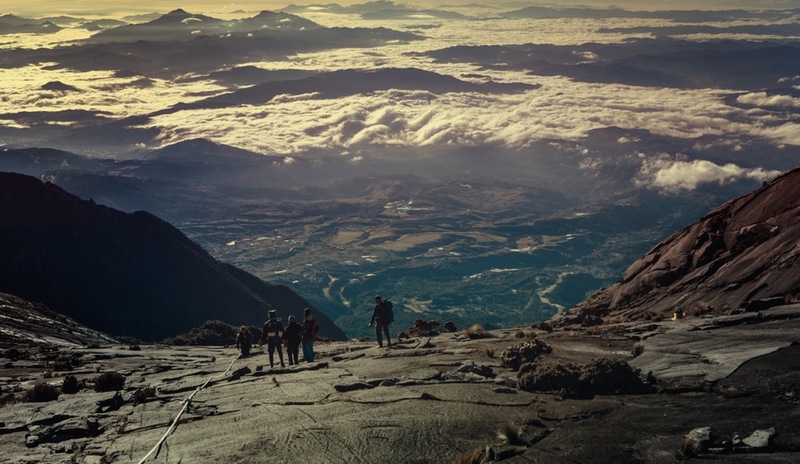 Recruiter.com: Let’s start with the title: Sleeping Giant. What does that refer to? Tamara Draut: The “sleeping giant” of the title refers to today’s working class, which, I believe, is just starting to unlock its real potential to be politically powerful. In the book, I have a whole chapter covering a lot of the organizing that is happening in states and cities that is less well-known. The Fight for $15 has gotten a lot of coverage and is making a real difference in public policy and in people’s lives, but there is also so much new organizing happening with this working class. Still, we’re not at the scale yet where this working class can really hold the mantle of power like the white, blue-collar, hard-hat working class did two generations ago. RC: And how is today’s working class different from the working class of two generations ago? TD: Let’s start with the work itself. The jobs are different. It’s no longer mostly industrial work. It’s largely service-sector work. If you can pick a center of gravity, it’s the home health workers or janitors, as opposed to people on assembly lines or in steel factories. Also, today’s working class is different demographically. That’s really important, and it’s something I talk a lot about in the book. This working class is much more racially diverse and much more female. One of the barriers to reclaiming political and economic power for the working class is that we have a new working class made up of women and people of color who still deal with the legacy of second-class status in this country. This very much shows up in the wages they earn and the job conditions they deal with. RC: In the book, you propose something you call a “Better Deal.” Could you expand on what that is, exactly? TD: I’m a public policy person. That’s what I studied and what my real passion is. I didn’t want to write a book without trying to provide a blueprint for what I think we need to change and reform and when it comes to improving the economic security of people’s lives. A Better Deal is a platform that would really address all of the challenges facing the working class – and, frankly, it would benefit most people in this country. It lays out an agenda to fix our political system so that people really do have a say in the decisions that affect their lives. It provides a blueprint to update our social contract to reflect the reality that women are in the workforce, and that’s not going to change, so we need things like paid family leave and childcare. It also contains a fair amount about the things we need to do with our labor laws in order to deal with the on-demand and gig economy. So, it’s a package of reforms that is on par with the big sea change we saw with the New Deal. It’s been so long since we have fundamentally rethought what we need to provide to our people in this country. At this point, we need a comprehensive approach to our political system, our economic system, and our social system. RC: The book is largely a systemic and structural critique, and it advocates for structural and systemic solutions. But one of the things standing in the way of reforms like yours is the mindset many people have in America. This mindset sees the problems of the poor and working class as individual problems, rather than systemic problems. In the book, you talk about how we “punish and pathologize struggle and strife.” I think this is one of the biggest obstacles the working class faces, and I was hoping you could say more about it. TD: We have a long tradition in this country of looking down on people who struggle and placing blame squarely on their shoulders. There are many public intellectuals and talking heads who have earned a living passing judgment on people who are struggling to get ahead in this country. RC: Today’s working class doesn’t have the sort of strong, formal labor unions that the working class of yesteryear had. Are you optimistic about the organizing efforts of today’s working class? Do you think they’ll lead to positive change? TD: I am optimistic – especially on a good day. It’s not going to happen overnight. There are three decades of loss that need to be contended with. There are very real challenges to this working class regaining political power. But I am optimistic, and the reason why is because the path we are currently on is simply unsustainable. The stripping away of economic security has reached far enough into the middle class – which does have political power – that something has to be done. The wins of the Fight for $15 show the working class that, when they do organize, when they make demands, they can actually win and begin to make real gains that improve their lives. I have to be optimistic because I honestly do think that, without a revived working class, we will not see the kind of transformative change we need.